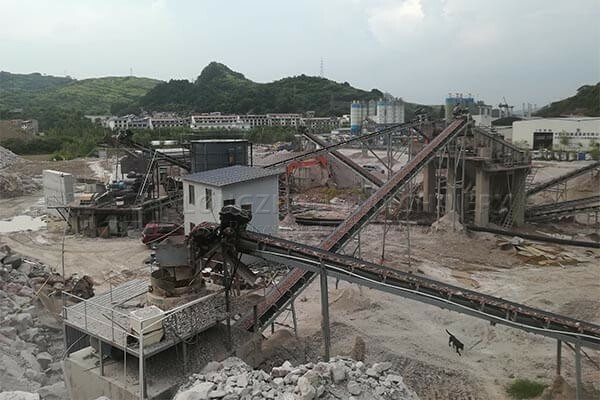 In 2018, LZZG and a customer who from Shijiazhuang, Hebei, reached a project contract agreement for a stone crushing production line project. The stone production project is designed to have a capacity of 180,000 tons per year, 1,000 tons per day, and 300 working days per year. 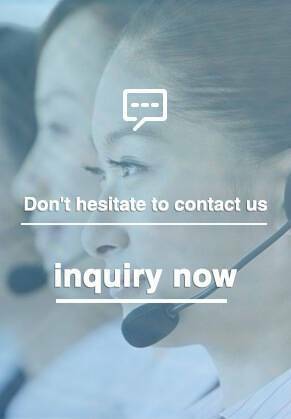 Due to a large amount of green stones in local demand, the crushing materials are mainly of granite, pebbles, gravel and so on. 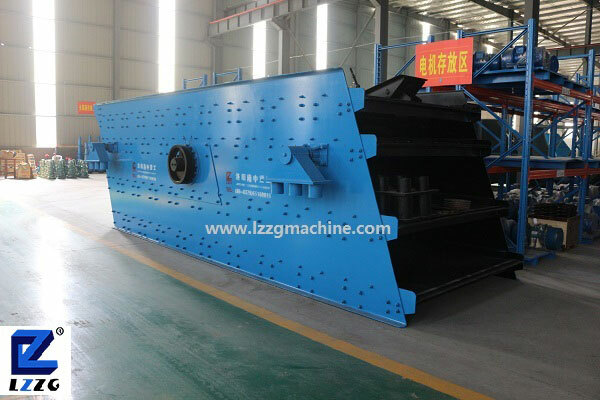 After the site survey, LZZG engineers determined the three stages of the crushing sand production line, including the jaw crusher breaking, the cone crusher two breaks, the shaping machine three breaks, sand making machine sand washing machine for sand making and cleaning. 1.The stone powder is poured into the hopper through the loader, and there is an adjustable gate below the hopper. After the gate is released, the raw materials fall into the conveyor belt below the hopper. 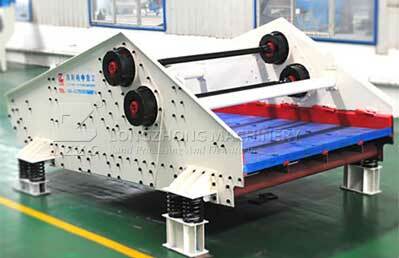 2.Through the feeding conveyor belt, the stone powder is distributed evenly to the roller screen. 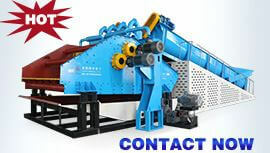 3.The trommel screen with water operation, and the outer layer is covered with a wire mesh,after the stone powder enters the roller screen, the mud impurities in the stone powder and the particles that do not meet the requirements are separated by the roller screen. 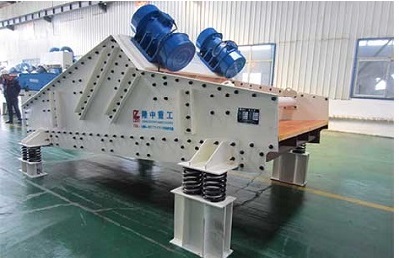 4.After screening through the rollers, he qualified stone powder slides directly into the water tank of the washing wheel, and the and large particles of sand or mud are piled up through the waste materials. 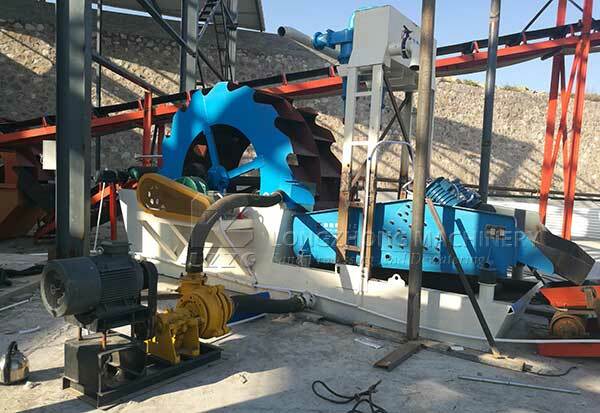 5.When the sand washing wheel is working, the motor drives the impeller to slowly rotate through triangle belt, reducer, gear, and the gravel enters into the water tank, rolling under the impeller and grinding mutually to remove impurities that cover the surface of the sand and destroy the water vapor layer covering the sand so as to facilitate dehydration.At the same time, water is added to form a strong current, remove impurities and small foreign matter in time, and discharge it from the overflow tank to complete the cleaning effect.The clean gravel is carried away by the blades, and finally the gravel is poured from the rotating impeller into the discharge chute to complete the gravel cleaning. 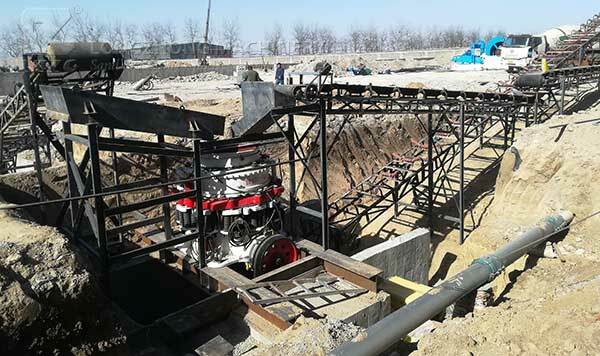 6.After cleaning, the qualified stone powder is sent to the high level to become a sand pile through the conveyor belt. 1.High production efficiency and high degree of automation. The entire river pebble sand production line has a simple process, a high degree of automation, and almost no manual operation. 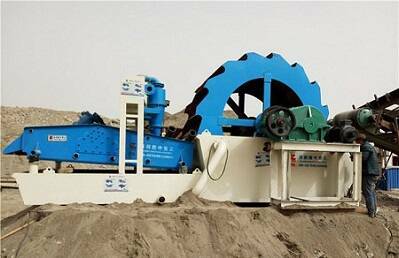 Large output, high yield, the washed sand product of sand washer has high quality, uniform granularity and good shape grain, which in accordance with production standard. 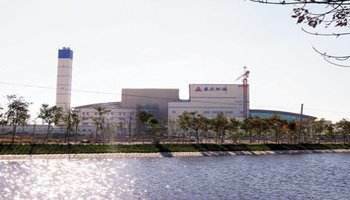 2.Cleaning materials of 100 tons per hour is clean, efficient and reasonable saving water to save a large amount of investment for enterprises. 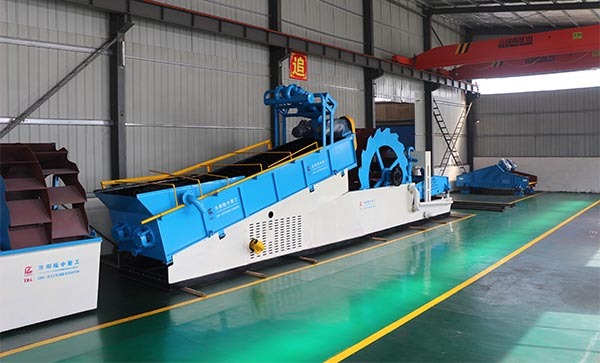 3.Flexible design, environmental protection and energy saving, 100 tons per hour of sand washer has litter pollution, strong work and long service life.